Normally, investing in municipal bonds returns interest payments on a semiannual basis. Zero coupon municipal bonds work in a totally different way by returning principal payment along with earned interest at the end of their maturity cycle, say, in 20 or 30 years. In other words, zero coupon municipal bonds are super long-term investment and are better suited for patient investors willing to wait. “Zero coupon” term simply means zero interest paid at regular intervals like with most municipal bonds. Zero coupon municipal bonds are sold at deep discounts compared to their original face value. Let’s assume we are considering buying a 20 year zero coupon municipal bond with a face value of $20,000 and yield of 5.5%. You will be able to purchase a zero coupon municipal bond of this kind for approximately $6,757. At the 20 year maturity date you will be paid back $20,000 which includes compounded interest and your principal payment. In addition, certain zero coupon municipal bonds interest payments that are paid out at the end of their maturity period are free of Federal and State taxes making them a rather attractive investment. 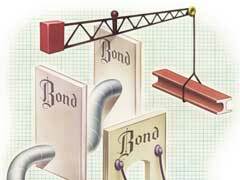 If you are a conservative investor who prefers to keep it safer than sorry, long term investment into these types of bonds will allow you to lock in high municipal bond interest rates to avoid reinvestment risks over the long run. You can also choose from a variety of maturity periods ranging from a year to 40 years. In order to maximize your chances of investing into high yield municipal bonds, always check ratings presented by one of three major rating agencies, namely, Fitch, Standard & Poor and Moody’s. If you would like to learn more about best municipal bonds and which states are worth checking into, read a variety of topics presented on our website.